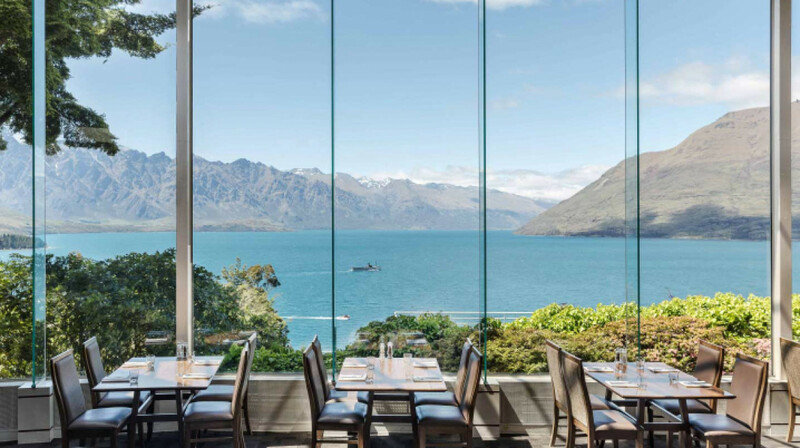 Situated in the Mercure Queenstown, South Eatery offers inspiring, majestic views over Lake Wakatipu and the Remarkables Mountains. 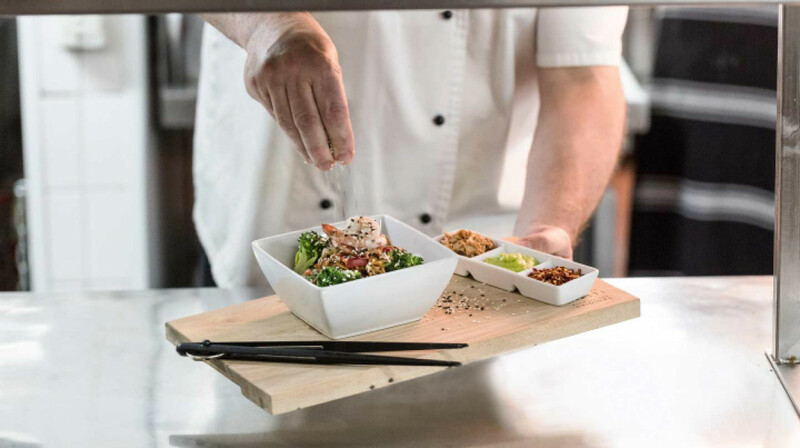 South Eatery pride themselves on offering a good choice of quality dishes and where possible infusing the finest local New Zealand flavours. They endeavour to source all their produce from sustainable resources and the provenance and traceability of their food is hugely important to them. 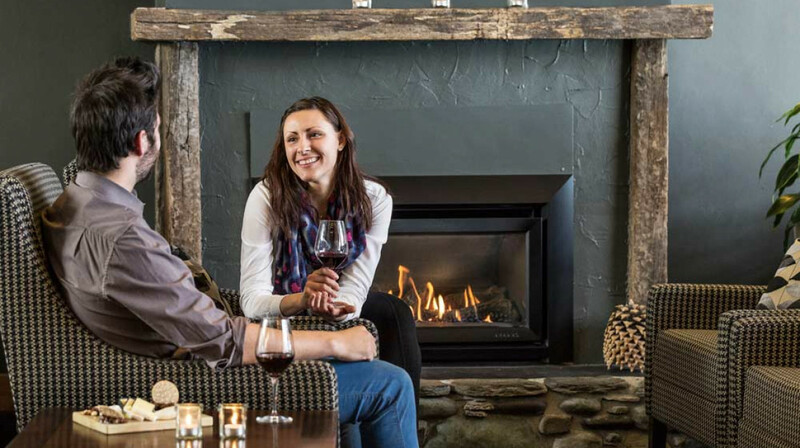 Take in the beautiful atrium views whilst feasting on their ever changing seasonal menu, not to mention they offer some of the best Central Otago wines. We had a fantastic time at the South Eatery last night. Fabulous service from Ralph and a truly stunning view and surroundings. 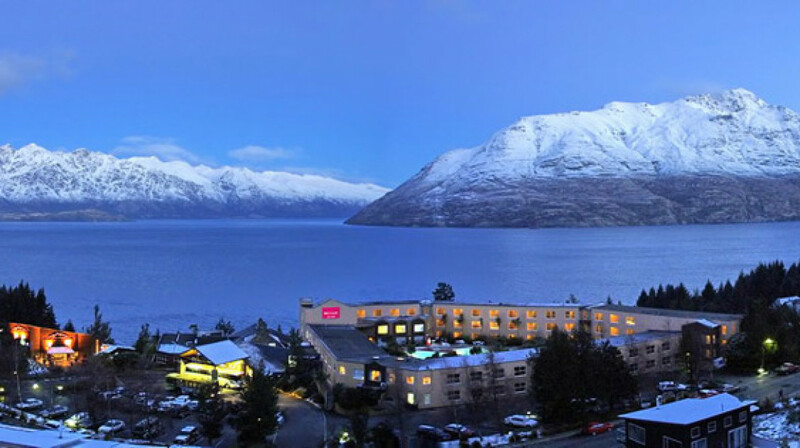 If you are in Queenstown you must visit!! We chose to dine at the South Eatery because it was in the hotel we were staying in, but if you weren’t staying there, so we the car parking (which was free) was right in front of the hotel, very easy to park in. The staff were friendly, helpful and professional. The restaurant was beautiful and had a lovely majestic view. The food was very artistic, and presented beautifully; my only suggestion would be to add that I would suggest adding sides to the main to make the serving size more of a dinner size- the seasoned vegetables were delicious! We enjoyed stunning views over the lake, with very attentive service from the waiter (we were the only people there for most of dinner). The fried chicken was yummy (very generous portion) and the duo of lamb, quinoa salad (also huge) and polenta chips were all delicious. We unfortunately didn't have room for dessert! The hotel is a magnificent spot to enjoy a really nice dinner! South eatery has an amazing view we where a it early so had a drink in the bar while we waited. We order the scallops And breads for starters which where amazing our waiter was lovely and helpful we both got the steaks for mains and they where really nice I will definitely be going back. Had a great night sitting by the window eating some yum food. Amazing service from Yuki is what made our night. Great view and beautiful food.... however was surprised that there was no chicken option on the mains menu as noted on the sample menu on first table website?? The staff were amazing, magnificient view whilst dining, and tasty food. I would highly recommend to others! Very nice meal, smaller size meals but the quality of the food was excellent. Could tell there was very new staff on but the service was still good. Super glad we had First Table because the food was very expensive for the size of the meal. A $36 lamb rack was two lamb chops. But it was delicious. You pay for the view in your food cost....it is stunning! The service and hospitality were amazing, they are able to accommodate food allergies eaisly which is bonus. We enjoyed our dining experience especially as we had a 3 year old with us who was given a goody bag to keep her occupied. Food was great although it would be good to have had a small salad with the fish and chips. Would certainly go there again. Lovely dining experience. Fantastic views. Good service and friendly staff, big starters. My son and I dined here recently; when we first arrived we had to wait to be seated as there was no one at the till. However this was only a slight blemish on our experience. We were seated at a table with a great view of the lake and the wait staff were fantastic. We ordered the venison and the pork and both agreed that it was very well cooked and tasty. For our dessert we had the cheesecake and the rhubarb, they were both very delicious. Would definitely recommend South Eatery to my friends and hope to be back again soon. We had a fantastic time with beautiful views, tasty food & friendly staff. South Eatery is always a great dining experience - delicious food, with a great choice of dishes. We had the venison - cooked to perfection and beautifully presented. Highly recommended. The food was impeccable. Definitely worth a visit if you want delicious food with a great ambiance and sensational view. Really awesome view with food to match! Was a really pleasant experience with a beautiful view of the lake and mountains, staff weemre friendly and helpful, the food was great! 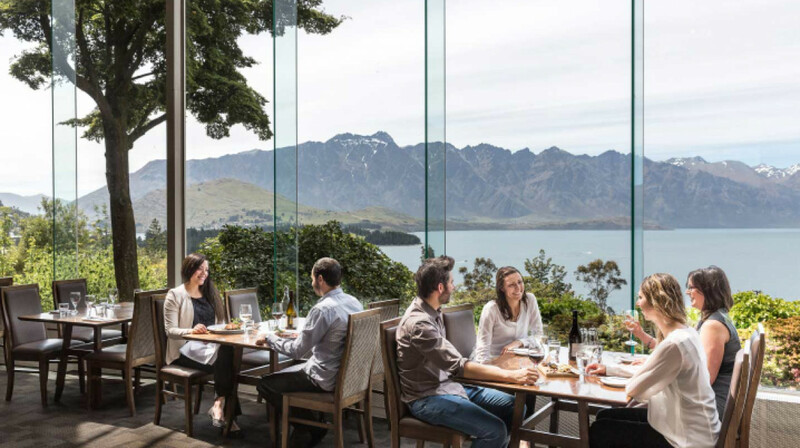 The restaurant boasts some amazing views over the lake with the mountains in the back ground. The food was great! Full of flavour and was presented well. The service was quick, attentive, friendly and non intrusive. This little gem of NZ produce cuisine was well worth the visit. The Lamb and Pork were cooked perfectly and melted in your mouth. Good selection of NZ wine. Pomme tarte tatin - Yummo! Amazing service from the moment we walked in, until the moment we walked out. Ordered a range of entrees and just shared and all were delicious. Would definitely go back again! went here on my birthday but didn't have to tell them as the staff and service were on point. It was very welcoming. To top it off, we had a very difficult child with us and they were very accommodating. Steak was cooked to perfection and dessert was in my opinion sublime. I had the raspberry baked cheesecake,the raspberries and coulee were not too tart with just the right amount of sweetness which paired well with the chocolate cheesecake and biscuit garnish. Thank you so much team. The dinner was amazing. The service is excellent, they really care about the customer, we have had a great time there. Highly recommended. I wanna come back for sure. Everything was fantastic. From be service to the food. And the view is magnificent! Relaxed atmosphere,friendly helpful and great food, we would go there again. This place was amazingly scenic with a nice view of the surrounding mountains and Lake Wakatipu. The service was great and the French waitress was extremely nice and happy to share what she recommended. The entree was huge! Which made up for the small size of the mains, but the food was cooked perfectly! Would definitely come back here! Outstanding meal with a wonderful view.. the chicken wings starter was huge, the calamari delicious & salmon so fresh. The mains were equally impressive - lamb with minted yoghurt was tender & tasty, the steak & mash beautiful whilst the venison was a treat !! The only disappointment were the accompanying steamed veggies which were boring - some bitter & seasoning would have made all the difference. As to the desserts, the tarte tartin was the best I’ve ever tasted !! Great service and lovely food! The room is beautiful, with the high ceiling and floor to ceiling windows. The food was excellent and Sunil the waiter was lovely. If your in a hurry don't go, waited just on an hour for meal and then lengthy wait for dessert, food was okay. South Eatery is is hidden gem - we had a wonderful fine dining experience here - gin cured salmon, a fabulous main of venison en croute and tarte tatin for dessert- way beyond expectations. Friendly and efficient wait staff added to a lovely evening. Highly recommended. 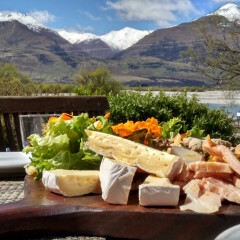 This is a place outside the mainstream of queenstown, but we can highly recommend it, good size portions, and cooked very well, perfect steaks,excellent chicken, and venison, as mains, the starters where good ,except the green lip mussels a little tasteless, the broth it came in, desserts where good, specially the baked cheesecake, the wild rice pudding was different , as the saying goes don’t mess with original recipes. Over all nice experience. We really enjoyed our meals here, great service and delicious food. Lovely venue . We dined at night so only saw lights across the lake but the views would be great in the daytime. Pleasant background music, not so loud so conversation was easy. All our meals were served fairly promptly and were well presented. would dine there again. We used first table to eat here at the Mercure and the food was delicious. We had the tuna, the chicken and the chowder and all were brilliant. We had a very long wait for our meal, but it was warm and cosy while we waited. The wine was lovely too, and very friendly and helpful staff. The food was not bad, but it lacked something special that would entice me to come back. The cured salmon could benefit from bolder flavours, some acidity and something to accompany the meal - the presentation felt like a whole load of randomly sliced pieces of salmon with nothing else. For main I had the sirloin with celeriac puree and smoked mushroom jus. The mushrooms that topped the steak were very dry and the whole meal didn't benefit from that - quite the opposite. The steak was cooked nicely, but that was the only positive. My friend's cheesecake didn't taste like a cheesecake either, more like a chocolate mud cake. For dessert, I had the tart Tatin, but the apples weren't caramelised at all and the creme pattisiere was too runny. The house vanilla ice cream was very nice though. When it comes to the presentation, I'd strongly suggest getting rid of those small black plates - the main didn't look good at them at all - and to arrange the meal on them differently, so it's more balanced. Overal, the views and appearance of the restaurant were lovely, the service was good, but I wouldn't come back for the food. Great dinner and really accommodating staff. We were impressed with our meals, especially the mains which were beautifully presented and flavoured. We 3 adults had starters also, and couldn’t even entertain dessert. 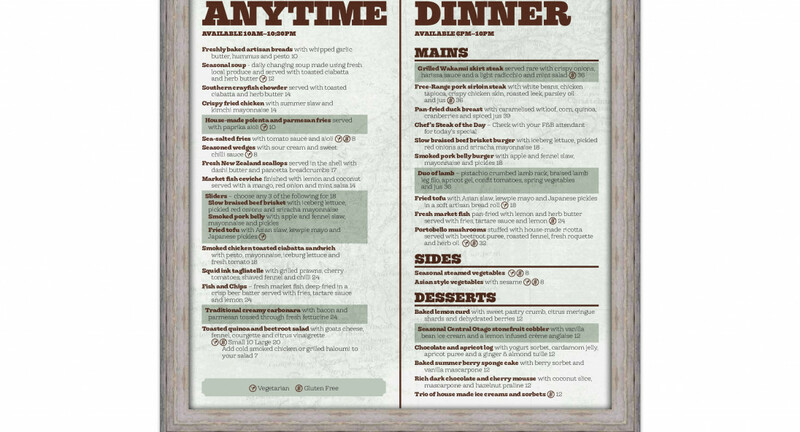 The kids menu was a healthy take on kids classic menus, followed by a decadent choice of ice cream and toppings. Thoroughly enjoyed great food in a stunning setting. A great place to dine and have good conversation. Would definitely dine here again. Excellent dining in every respect!! Four went for dinner, good quantity of we'll prepared dishes. Excellent sirloin steak, with a delicious mash, beautiful vegetables, we would go to South Eatery again!